Producer, Director & Chief Executive of TokyoCinema Inc.
1942: Born in Tokyo, as the first son of OKADA Sozo, a unique film maker and founder of Tokyo Cinema Co., Inc.
1961: Entered Metal Engineering Dept., Faculty of Science and Engineering of the Waseda University. Director and Professor Michael Romm. 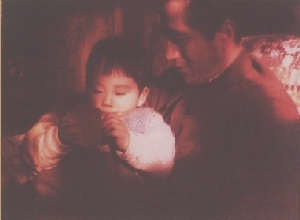 making at Tokyo Cinema Co., Inc.
Memorial Foundation togather with his father, Sozo. state license for theatrical and TV film-making, besides Master of Arts from USSR National Examination Committee. 1973: Became one of the Managing Directors at TokyoCinema, Inc. after re-organization of the company. 1983: Became the chief executive of TokyoCinema Inc. taking over his father's place. 1984: Became a trustee member of the Shimonaka Memorial Foundation, and Director of ECJA. resigned the position in 1998. 1977: "MOON JELLY Life Cycle of Aurelia aurita", received Honorary Diploma at ISFA Venice Congress and Festival. 1978: "IZAIHO of Kudakajima Island of Okinawa". "FAN FESTIVAL OF NACHI SHRINE"
years) on wild animals for TBS (Tokyo Broadcasting Systems). 1980: "FESTIVAL OF AUGUST 15TH IN THE YORON ISLAND". 1981: "MAYUNGANASHI OF KABIRA VILLAGE, ISHIGIGAKI ISLAND". ANZAAS International Science Film Festival. "UWASE SHINJI a Festivity Ritual and Performing Arts of the Middle Age, transcended to Wakasa region". 1983: "DIARY OF THE ANIMALS IN THE NORTH: In Quest of White-Tailed Sea Eagles", a TV program for TBS-Hitachi TV City. mother river", Agricultural Minister's award at the Japan Animal Welfare Film Festival. Culture & received Special Jury Award at Wild Screen '86. 1987: "LaserDisc ENCYCLOPEDIA OF ANIMALS" in 8 vols. at the Science & Technology Film/Video Festival, Special Honoraly Diploma at ISFA Utrecht Congress and Festival. for TV Asahi in Tokyo and Asahi TV in Osaka. documents shot in 1920's and 30's. 1993: "FOREST OF THE RACCOON DOG" a NHK TV Program "The Global Family". 1994: "MARINE FLOWERS", High Definition TV Version. "REVIVED FOLK MUSIC A Report from Kazakhstan" for NHK "ETV Special". "NATURE OF CENTRAL ASIA Rare Animals Brought by the Ili River" for NHK "Global Family". 1998: "100 SELECTED SOUND SCAPE OF JAPAN", a video package in 20 volumes. 1999: "GAGAKU", a video package in 10 volumes. 1982: An Executive Committee member of the International Science Film Association at the ISFA Jena Congress. 1982: An International Programing Member, BKSTS Bath International Wildlife Film Makers Symposium. 1982: An International Jury of the Wild Screen '82 in Bristol UK, organized by WWF International. 1984: An International Editorial member of the Encyclopaedia Cinematographica, headquater Goettingen Germany. 1987: An International Jury of the Wildlife Film Section at the 11th Indian International Film Festival . 1989: The Coordinator "Japan Evening", the International Scientific Audio-Visual Forum at the Science & Industry Museum, Paris. 1990: Research and Acquisition Coordinator in Visual Anthropology for the Hokkaido Museum of Northern Peoples. of the Japan Society of Motion Pictures and TV Engineering. 1991: An International Jury of the Paernu International Visual Anthropology Festival, Estonia. anniversary of the Shimonaka Memorial Foundation. An International Jury of the Quebec International Science & Technology Film Festival. Became the Vice Chairman of WARM World Association of Research Media, established by The Rome Club. Lake Museum in Shiga Prefecture. 1993: Co-editor for The Newsletter on Moving Images for Life-Time Learning and Museums. A co-organizer for the International Workshop, "Future Images of Korean Diaspora in Multi-Ethnic Symbion" in Almatiy Kazakhstan. 1995: Reported "Restoration of Ainu films of 1920s and 1930s at the Moscow International Visual Anthropology Seminar. anniversary of the birth of Cinema at the Museum of Invention, Paris. to Company Profile TokyoCinema Inc.